dp-rp37 Rosin cube cage assembled already before shipment. Easily connect to a hydraulic device to start working. 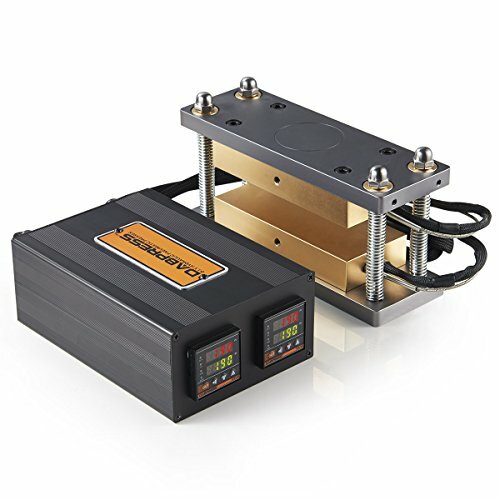 - Plate Size: 3" x 7"
- External Package: 14.2" x 13.2" x 9.4"
- Stroke Extend Of The Shop Press >6"
How To Choose Suiteable Rosin Press Between dp-rp37, dp-rp35 and dp-rp33? Stainless steel bracket and 6061 anodized plates, fits 20 ton hydraulic shop press. If you have any questions about this product by Dabpress, contact us by completing and submitting the form below. If you are looking for a specif part number, please include it with your message.